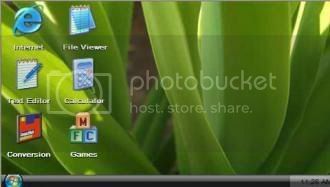 Here’s an awesome trick to get Windows Vista or Xp on your PSP. Now you might be wondering how’s that possible. Well, it’s just a flash program known as PSPWXP that is made to run on your PSP and not the real Windows Vista or XP which you install on your pc. So what do you get using PSPWXP? How to install PSPWXP on your PSP? First download your preferred OS (windows xp/ vista) from below. Extract the zip file to a separate location. Connect your PSP via USB. Copy the PSPEXP folder to your memory stick root. Now go to your PSP browser in your PSP and delete browser cache and set the cache to “Do not Use” and select “OK”. Now turn off your PSP by holding the turn off button on your PSP. Now start your PSP. Go to internet browser, in the address bar enter the following “file:/pspwxp/inder.htm” and press enter. That’s it now you should be able to enjoy Windows XP/ vista on your PSP.